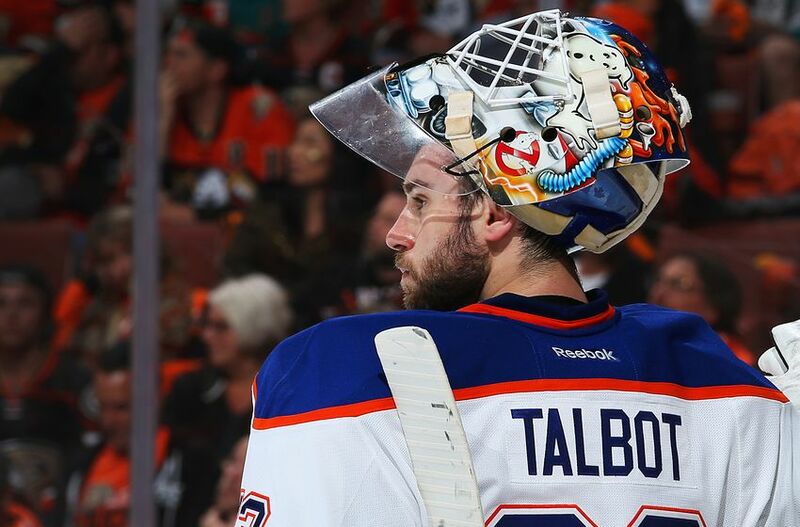 What can we expect from Cam Talbot? 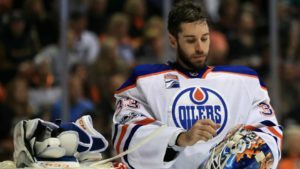 What can we expect from Cam Talbot for the 2018-19 season? That seems to be the question on many Oilers’ fans minds heading into camp. Will we see the all-star caliber play that was an essential piece to the 2017 playoff run or the subpar performance that was apart of the disappointing 2017-18 season? 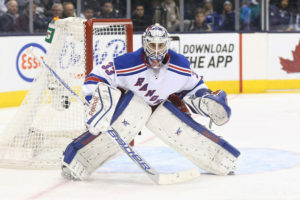 Talbot played in a total of 57 games for the New York Rangers before being traded to Edmonton for three draft picks. In those 57 games, all in relief of Henrik Lundqvist, Talbot won 33 games to 15 losses with 8 shutouts. 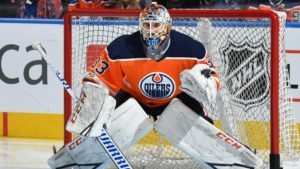 In his first season with the Oilers Talbot found himself in a competition with Anders Nilsson and started in 56 games posting a 21-27 record with a 2.55 GAA and a 0.917 SV% before ultimately winning the starting job. Talbot’s second year as an Oiler was his best of his career by far. He played in an astounding 73 games which some had said was him being over-worked, but none the less had a tremendous year. 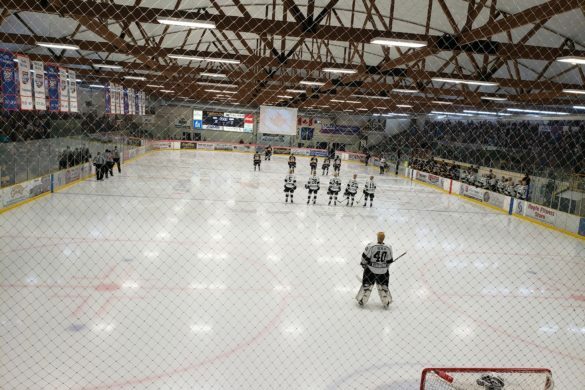 He finished with 42 wins and 22 losses and a superb 2.39 GAA and 0.919 SV% and 7 shutouts. 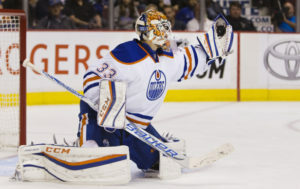 Talbot was the backbone to the Oilers coming within one game of the Western Conference Final in 2017. Through 13 playoff games he had a 2.48 GAA and .924 SV% while facing the fifth most shots of any goalie in the playoffs with 437. The quality of Talbot’s saves was occasionally something to marvel at with it at times seemed like he was the only thing keeping the Oilers’ playoff hopes alive. 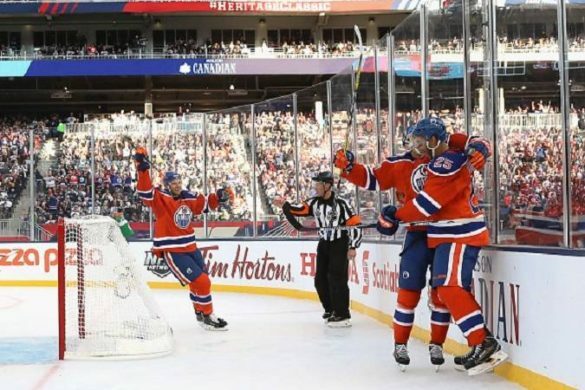 The Oilers averaged 2.77 goals a game through the playoffs requiring Talbot to be at the top of his game through the postseason, something he found success with. 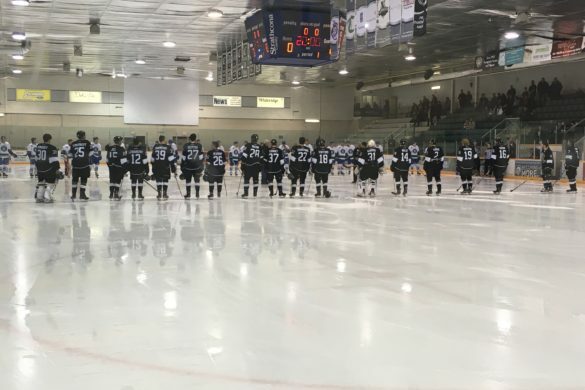 Going into the 2017-18 season expectations were through the roof and then some for the Oilers. 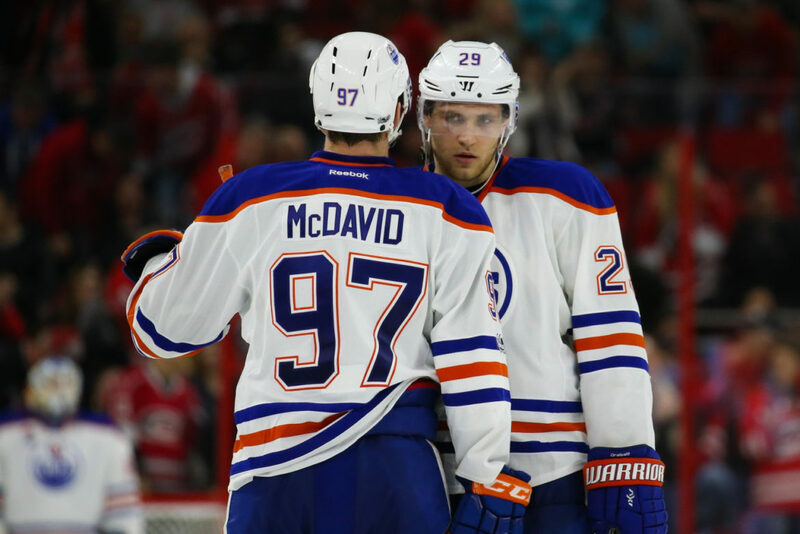 They had arguably the best player in hockey in Connor McDavid, they had great centre depth, and were a team coming off a magical playoff run and had one of the better goalies in the NHL. Those expectations however, were never even close to being met and while Talbot was not solely to blame for the lack of success he was also not innocent. 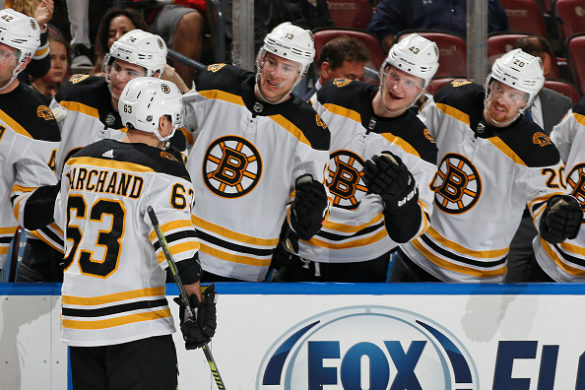 Talbot played in 67 games last year which made some fans happy to see his rest days go up by six but the performances he put on the ice did not translate to a rested goaltender. Talbot gave up 17 more goals than the year before seeing the number jump from 171 to 188. 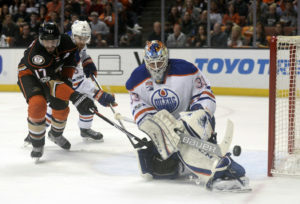 The Oilers goaltender also saw his win-loss record dwindle from the year prior as well. His league tying and Oilers record 42 wins in 2016-17 shrunk to just 31 in 2018. He broke even on the year with a 31-31 record while putting up a discouraging 3.02 GAA and .908 SV%. The team missed the playoffs not at the hands of Talbot but again he didn’t do a lot to help the cause either. For as amazing as some of the saves were that Talbot made during the ’17 playoff run, some of the goals he gave up in ’17-’18 were atrocious. Talbot would be beat on some shots that looked weak, while he would seem to drop to the butterfly too early being beat up high and from sharp angles. The timing of the goals he gave up was always a back-breaker as well. At times Talbot seemed to give up goals early and in large amounts. 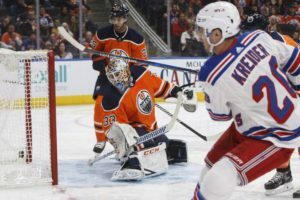 Whether it be a goal within the opening seconds or minutes of a game or period or a barrage of goals where he would let in three or four in short amount of time, or even giving one up as quick as seconds after the Oilers were able to score one of their own, the Talbot we saw last year was not the one we were accustomed to. The question has opened, Which Talbot is the real Talbot? It’s hard to really tell considering he’s only played in 5 seasons as a pro. Two of those years he was a backup to Lundqvist despite getting a decent amount of playing time. Talbot has played in a total of 253 NHL games in his career. For comparison’s sake, Braden Holtby who came into the league a year before Talbot and is two years younger has played in 361. 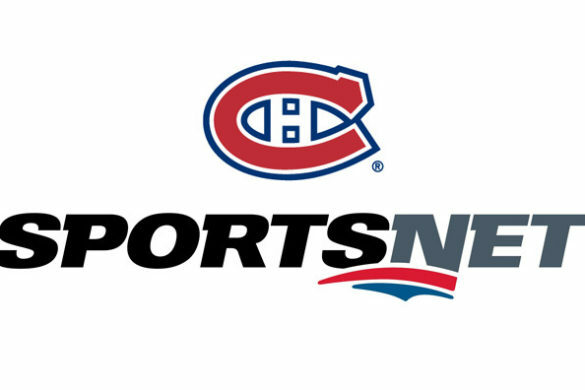 Talbot hasn’t had a full-time job outside of the last two seasons. He’s never had a GAA above 2.55 prior to last year nor has had a SV% lower than 0.917 prior to the disappointing .908% last year. Again, this comes from limited game action throughout his career, but it is hard to assume anything other than last year was an anomaly. Talbot is a bit older for a goaltender with his experience as well at 31-years-old. While he’s not quite at a point where his age should be affecting his game, some have made the argument that perhaps his 2016-17 season was a one-hit wonder before he reached the age of 30. My opinion on Cam Talbot is that he is a solid starting goaltender for any NHL team. Given that however I don’t think either of the last two seasons are something we can expect from the veteran net-minder. I believe that his excellent 2016-17 season was one where he outplayed his average ability. I also believe that his bad play last year much like other players on the roster, was just a bad year for him. 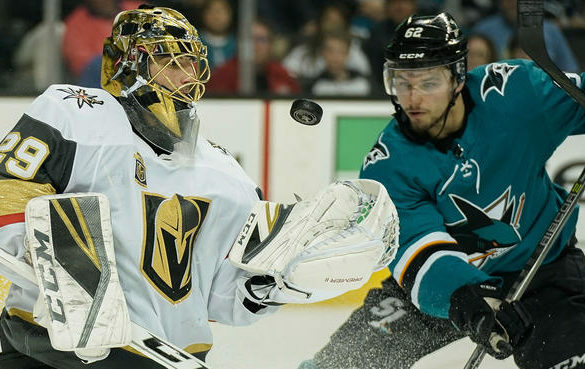 Being the goaltender on the team made him an outlier of the team’s struggles. I think the Oilers can expect a solid showing from Talbot where his statistical numbers improve from last year. But if you’re expecting numbers like we saw in 2016-17 don’t hold your breath. If the Edmonton Oilers want to make the playoffs they can’t expect him to be the backbone that carries them to the promise land. 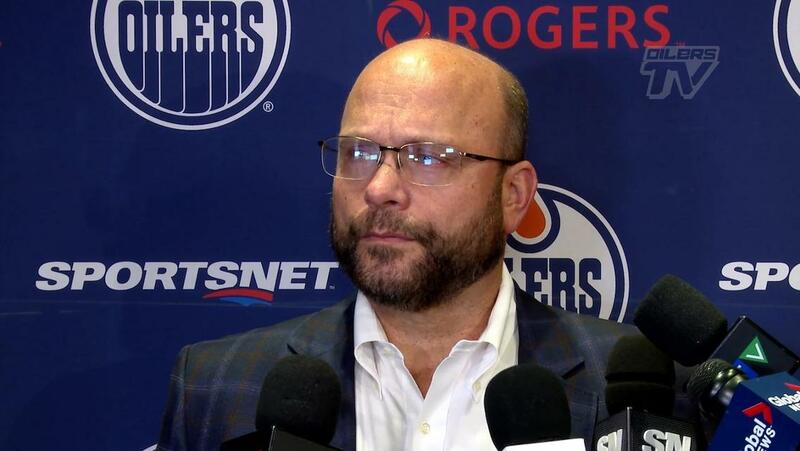 The biggest question comes to one, Peter Chiarelli as Talbot is entering the last year of his contract and Chiarelli will need to decide if Talbot will get the job done for the Oilers or if it’s time to look elsewhere. 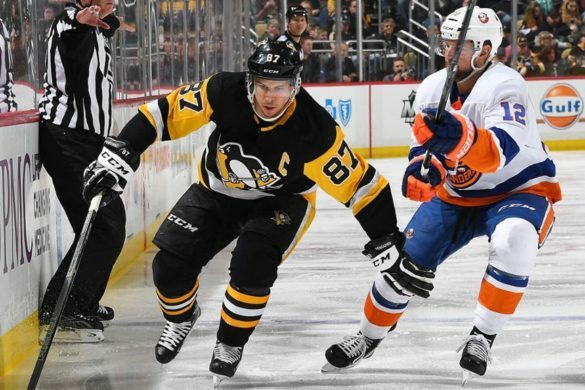 The first month of the NHL season is over and we have seen plenty of unpredictable things happen. 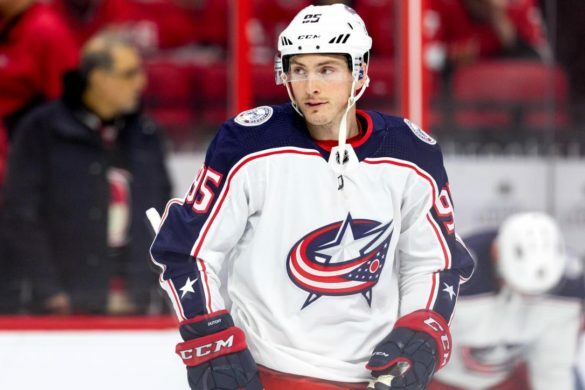 One being the hot start the Edmonton Oilers have had, and even the fact the Blackhawks are being led by a player who’s spent the majority of his career in the AHL. What an odd start to the season we’ve had. Your fantasy team may be loaded with a few unexpected stars, it’s time to move on from those guys and trade for some more consistency. After a rough first three games of the season allowing 13 goals, Cam Talbot has been lights out for your fantasy team. Ever since the birth of his newborn twins we’ve seen a drastic change in his game, making him the hottest goaltender in fantasy. Despite all of this it’s time to say goodbye. His schedule through the month of November is way too difficult for him to maintain this form. 10 out of the Oilers next 14 games are against playoff teams from last season, including Stanley Cup Champs: the Pittsburgh Penguins. Right now Talbot’s value is the highest it could be all season. 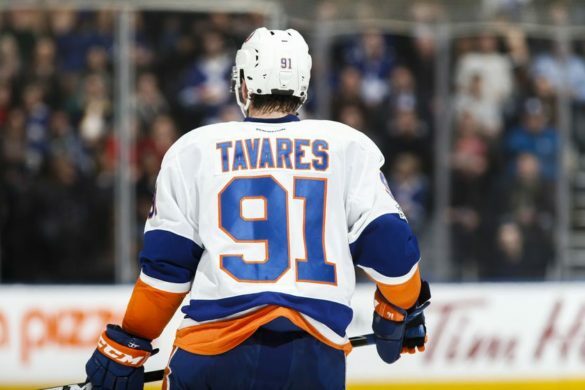 You should be out there asking for top forwards like Taylor Hall, Brad Marchand, and Jakub Voracek to name a few. 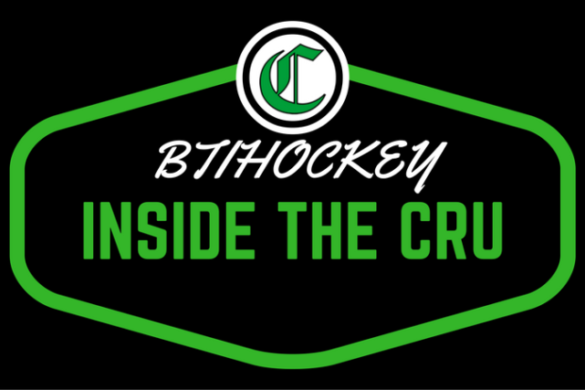 The goalie market is also hot right now with the likes of Jonathan Quick and Mike Smith out for a while. Go and see what their owners have that you can steal away. At the moment this may seem like a bold move but in the long run, this will really benefit your team. 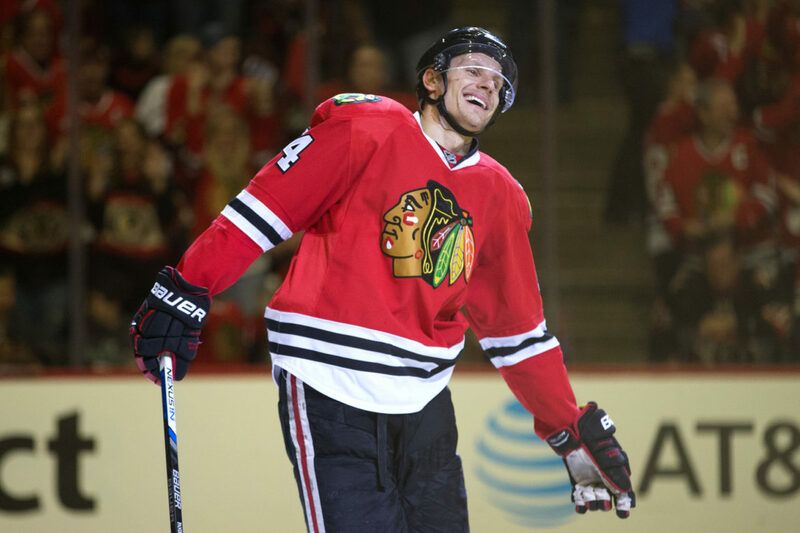 If anyone tells you that they knew Panik would start the season off so hot then they’re a liar. Panik has scored 6 goals on 13 shots which is pretty ridiculous considering he only scored 9 goals with the Toronto Marlies last year. He’s playing top minutes on 5 on 5 and the power play, also, Panik is playing alongside some of the best players in the world right now with Toews and Kane. Now, exactly what I just said is what you should be telling other owners in your league when you’re trying to trade him. 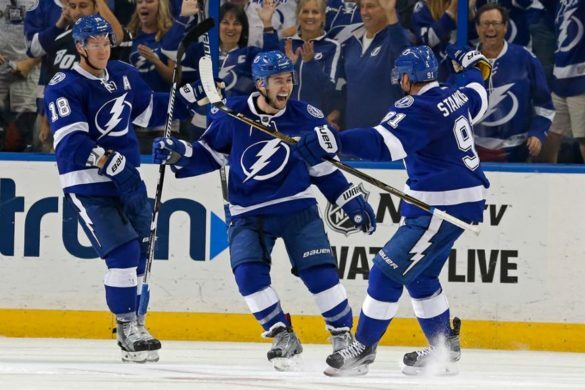 Panik has never been known as a point getter, in fact, the last time he had over 25 points was back in 2013 when he had 41 points for the Syracuse Crunch. It’s not going to be surprising to see him cool off very soon. Much like Cam Talbot, the Blackhawks forwards value will never be higher. You should be looking for players around the league who have been off to a slow start like Ryan Nugent-Hopkins or even Jeff Carter. The owners of these players could be worrying about them and maybe you can get them to make a “Panik” trade.